Church takes on State Capitol as House passes Prop 3 overwrite bill. Third from left: First Baptist Church Rev. Curtis Price, First Unitarian Church Rev. Monica Dobbins, Anna Zumwalt and Rev. David Nichols, of the Mount Tabor Lutheran Church. Prayer and shame weren’t enough. Despite a peaceful protest from ecclesiastical leaders, lawmakers advanced a bill Friday afternoon that would supersede a full-throated Medicaid expansion plan approved by 53 percent of voters last November. The two-thirds House majority means Prop 3 supporters would not be able to float a referendum to overturn the legislation should the governor sign it into law. The bill caps expansion to 100 percent of the poverty line—$12,140 per year—and will cost the state more money, at least initially, than the expansion outlined in the ballot initiative. Supporters say SB96 would cost Utah less over the long term, while still providing coverage to people who would benefit from a Prop 3 expansion. The Senate will vote Monday whether to accept the House amendments, meaning Gov. Gary Herbert could sign the bill into law sometime next week. “I think we’re going to land this in a place that’s going to be good,” Herbert told reporters on Thursday. 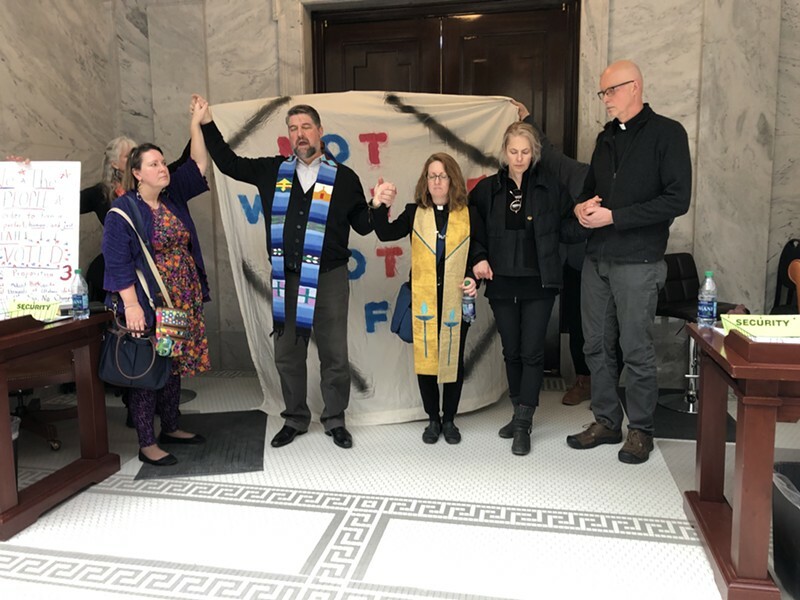 The four faith leaders prayed outside the House chamber that Herbert wouldn’t sign the bill into law. “They’ve repealed the will of the people,” Price said of lawmakers’ efforts, pledging to take the fight to the governor’s office, to convince him to veto the bill.